Try listening to a contest in full swing: you will need an SSB-capable rig, a horizontally-polarised aerial (a horizontal dipole is much better than a colinear or other vertical aerial) and maybe a rotator, although pointing the aerial to pick up stations the west-northwest from Kent/Essex will suffice to get results. 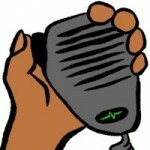 Listen 144.300, and within 100KHz of that calling frequency – although in contests the calling frequency itself is never used. There’s a 2m contest at 20:30h on every first Tuesday of the month. 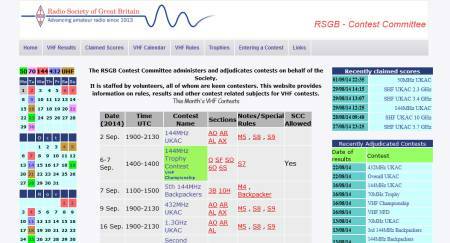 Other Tuesdays have contests on other VHF/UHF/SHF bands – see the Calendar on the RSGB VHF Contest Committee website and the rules and other details (e.g. how to score points) can be found there too. Also information about other contests at other times. Listen to a few contacts – they are short, comprising a report (59, or whatever signal strength is actually arriving at the aerial), a serial number (normally given as three digits, starting at 001 and incrementing by one for each subsequent QSO) and their QRA Locator. The QRA Locator for the major part of Essex is likely to be JO01 followed by two letters. You can most easily get your own locator from aprs.fi – put the cursor over your location and the lat.long and QRA Locator all appear at the top left of the map. Example: Basildon is JO01FN. Then try calling a strong station who is calling CQ Contest (or QRZ?). Have your report, serial number and QRA Locator ready to give preferably in that order. No other detail is required. Try listening for weaker stations – and calling them. The range you get will amaze you if you’ve only been on FM so far. Some signals are so weak it can take five or ten minutes of repeating details to complete the contact – but the elation of beating the noise is definitely worth working for: so are the points! You will get better with practice: initially I was pleased with working 10 stations between 20:00 – 22:30. Nowadays less than 30 is disappointing (but it happens…) covering big chunks of the UK. Some good operators with good stations work well over a hundred! 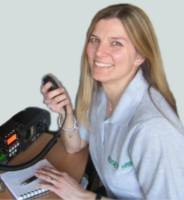 Ideally you will make a log of stations worked with all the details you have exchanged, and you might even submit an entry to www.rsgbcc.org/vhf/ – This will most likely need some guidance from someone who has done it before – but such a person will be only too pleased to give that help. The log can be done on paper, but that will need to be transferred to the website using the built-in log-generator. A better solution (when you get lots of QSOs) is to use a computer to originate the log in the first place: Minos is one suitable programme for the job – again a friendly local will get you up and running quite quickly. Thanks to Terry for the submission – Why not give it a try and see how far your 2m signal will take you… a lot more than “just beyond line-of-sight” that we teach on Foundation!! 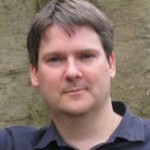 Did anyone listen to the UKAC 2m SSB contest on Tuesday 2nd September? The band was alive with stations working each other one end of the UK to the other. Some stations worked around 200 others inside the two and a half hours, with many contacts well over 500 miles distance. How those logging the contacts coped I can only guess! 70cms next Tuesday: have a go – have some fun.